It has been 10 years since a John Ajvide Lindqvist story was transferred to the big screen. The author of Let the right one in co-wrote the screenplay to the new feature Border where trolls and mysticism meets realism. In 2008, Let the right one in became a massive global hit. Not only did the movie make back 3 times its 29 million SEK budget and won over 50 international awards, it was also remade in the US, a very rare (if not the first) honour for a Swedish horror film. Since then, a number of John Ajvide Lindqvist film projects has been on the table but it took until now to get a new feature film based on his work to the silver screen. Border premiered at the film festival in Cannes on May 10th (original title; Gräns, not to be confused with the Swedish WW2 drama Gränsen). 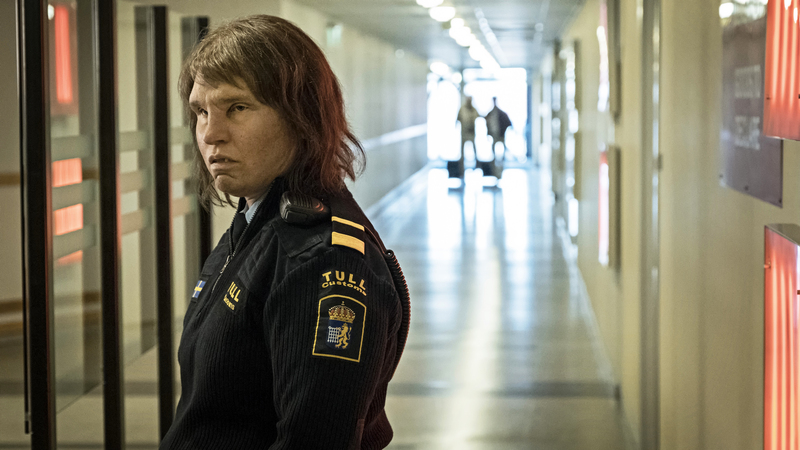 The film is supported by a number of European public financing bodies, including the Swedish Film Institute, which explains that the film is about customs officer Tina (Eva Melander) who is known for her extraordinary sense of smell. It’s as if she can sniff out the guilt on anyone hiding something. But when suspicious-looking Vore walks past her, her abilities are challenged for the first time ever. Tina can sense Vore is hiding something she can’t identify. Even worse, she feels a strange attraction. As Tina develops a special bond with Vore and discovers his true identity, she also realizes the truth about herself. Tina, like Vore, does not belong to this world. Her entire existence has been one big lie and now she has to choose: keep living the lie or embrace Vore’s terrifying revelations. Shot in 7 weeks in Sweden, Border is director Ali Abbasi’s second feature (his first was the Danish gothic horror Shelley from 2016) and is a genre-bending mainstream/arthouse mix of Nordic noir, romance, Nordic mythology and supernatural horror. Having been chosen from an 18 month long casting process, Melander gianed 20 kg to bulk up for the role and spent four hours in the make-up chair to become Tina, a peculiar woman with teeth, a nose, a tail bone scar and bloated skin one usually associate with…. some kind of forest monster? The story revolves around fitting into a predefined society and being on the outside of it, physically or mentally, with (let’s be open about) what are basically trolls as the allegory for everyone who feels different, from HBTQs to migrants. One key scene is a steamy encounter between the two main characters, a scene described by Indiewire as “so unexpected and ludicrous it instantly transforms the movie”. -It’s a film about finding your place in the world, not knowing who you are or where you belong. You might also see it as a story about how the Western world treats people who deviate from the norm, so there is a political element to it. In Border ancient natural mysticism is mixed with everyday life and it’s the clash between those two elements that is the film’s universe, just like in Let the right one in. I would describe my style as a Nordic form of magical realism, director Ali Abbasi said in a press release. Now a full time director, Abassi grew up in Iran, studied architecture in Sweden and then made Copenhagen his home, where he studied at the National Film School of Denmark. The diary-format short story that Border is based on was introduced to him by a friend when they both went to film school more than a decade ago. What attracted the director to Lindqvist’s work was that its surface fantasy shimmer has “a dark underbelly”; a serious and social-political side. -The important thing is the love story and the coming of age of this 40-year-old woman who doesn’t know who she is, she gets to choose her own identity. Through this supernatural journey you always feel this Nordic melancholy of a person that is connected with everything around her in nature but not with human beings. That’s the experience of being a minority, the director explained to Screen Daily. He also talked about why such a serious topic was convoluted in a supernatural setting: -What I really like about genre territory is that people tend to treat it as entertainment, that’s when people have their guards down, that’s a good time and place to talk about politics when people least expect it. 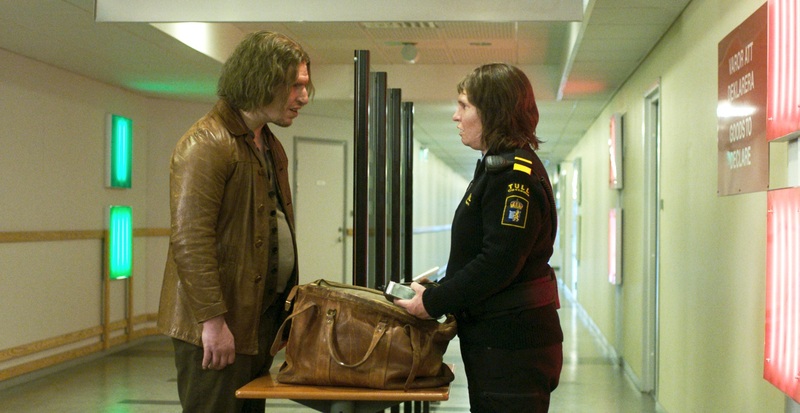 To Cineurope Abbasi explained that Border is not a typical special effects movie as such, even if it features a fair amount of top Nordic visual and special effects: -Göran Lundström, who did the [make-up] work on Border, deserves every award he can, and will, get. I never thought of Border as a “make-up film” in the beginning. I looked for good faces and found them on Eva Melander and Eero Milonoff, and we built the characters from there. But I like the gradual development into an elaborate F/X project, as long as we don’t get into some kind of Christmas pantomime thing. I think we steered clear of that. John Ajvide Lindqvist (“the Swedish Stephen King”) is an author of mostly horror novels and short stories. He grew up in the Stockholm suburb of Blackeberg. As a teenager, Ajvide Lindqvist used to perform street magic for tourists in Stockholm. Before becoming a published writer, Lindqvist worked for 12 years as a magician and stand-up comedian. His debut novel Let the right one in was a romantic, social realistic vampire horror story published in 2004 and later adapted to film. It enjoyed great success in Sweden and abroad. Since then the author released new books almost every year. His works have been translated into many languages, including English, Bulgarian, German, Italian, Spanish, Chinese, Hindi, Norwegian, Danish, French, Polish, Czech, Dutch and Russian. Besides fiction Lindqvist has also written TV screenplays. The film was not only applauded by critics, but also won the official Cannes Film Festival award Un certain regard, named after a section of the festival. The name literally means “a certain glance” but is understood by French speakers to mean “from another point of view.” It refers to films with various types of visions and styles, which tell their stories in nontraditional ways. The award jury is lead by Benicio del Toro, and Border won over 17 other films, that had been selected from 2000 initial entries. 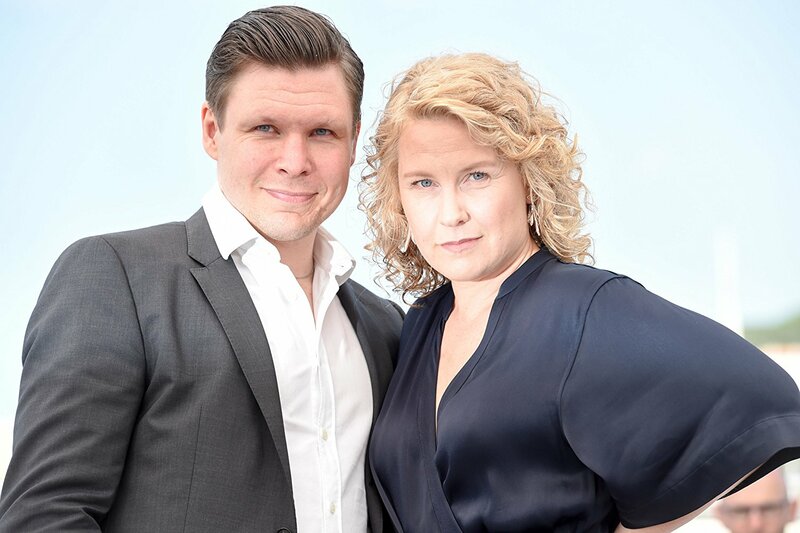 Nina Bisgaard, Piodor Gustafsson and Petra Jönsson produced the film for Meta Spark & Kärnfilm. The Swedish-Danish feature was written by Isabella Eklöf, Ali Abbasi and John Ajvide Lindqvist, based on the latter’s 50-page horror story, also called Border. Eva Melander, Eero Milonoff, Jörgen Thorsson, Ann Petren, Viktor Åkerblom, Matti Boustedt and Sten Ljunggren stars. Border is distributed by TriArt Film and will have its Swedish premiere on August 31st.